The Westfjord Heritage Museum is situated at the tip of the small spit on which the town of Ísafjörður is located. The museum building is one of four 18th century houses that have been renovated and are now amongst the town?s biggest tourist attritions. 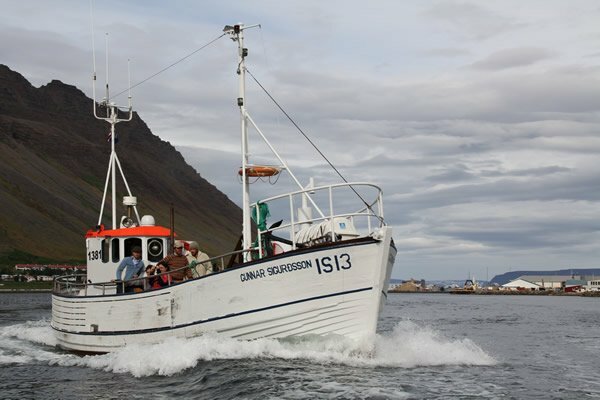 The town of Ísafjörður was established and based on the fishing industry; therefore it is only natural that the museum focuses mainly on maritime history. In the museum itself, as well as in the area around it, you will find all kinds of fishing- and fish production equipment, everything from fish hooks to a ship. There is also a part of a big accordion collection. After a tour around the museum and its surroundings, you can relax at the Tar House and enjoy some light refreshments.